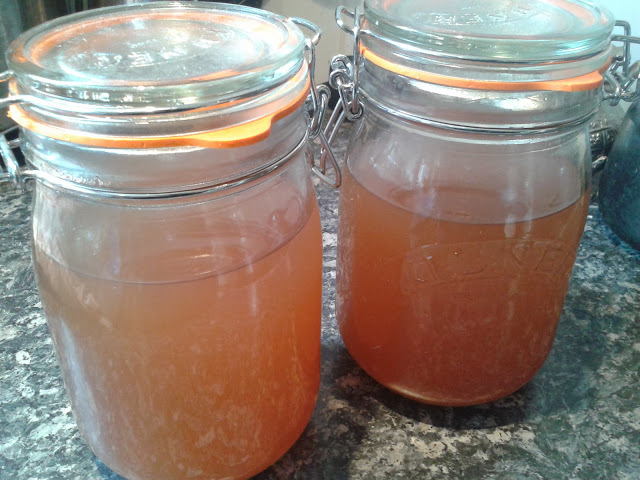 I've had a couple of messages asking how to make vegetable stock and so it's back to basics with this fool-proof stock recipe. 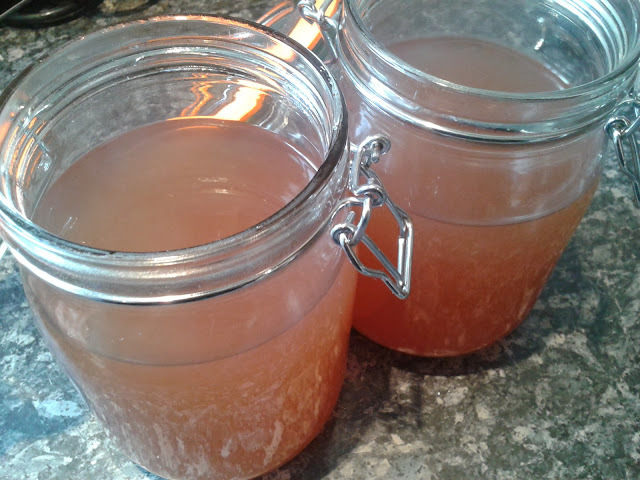 Homemade vegetable stock is infinitely better than any kind you could find at the shop - you get to control the flavours, salt content etc. While I would encourage you to try out a combination of different vegetables, there are a few that don't work particularly well, such as leafy greens, cabbage, broccoli and sprouts - these can add an unsavoury bitter taste. Opt for fresh herbs like basil/partminger instead. The recipe I'm sharing below is my favourite combination - it smells absolutely amazing while cooking and the flavour is delicate and fragrant. 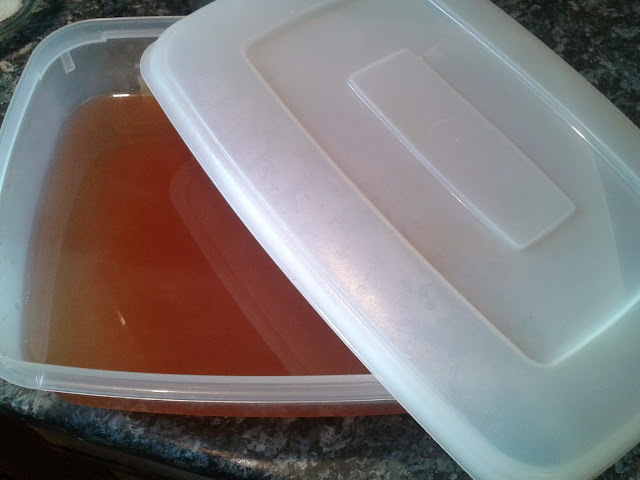 Vegetable stock is a great thing to have sitting in your fridge because it can be used for so many things. It can be used as a base for soups and sauces. (I used it in the yam pottage and egusi recipes). Here's another neat idea: it can also be used to sauté onions and other chopped vegetables - if you're trying to reduce the amount of oil in your cooking, then there's your solution! Place all the ingredients in a large pot and bring to a boil. When it starts boiling, turn the heat down and simmer for 1 hour. 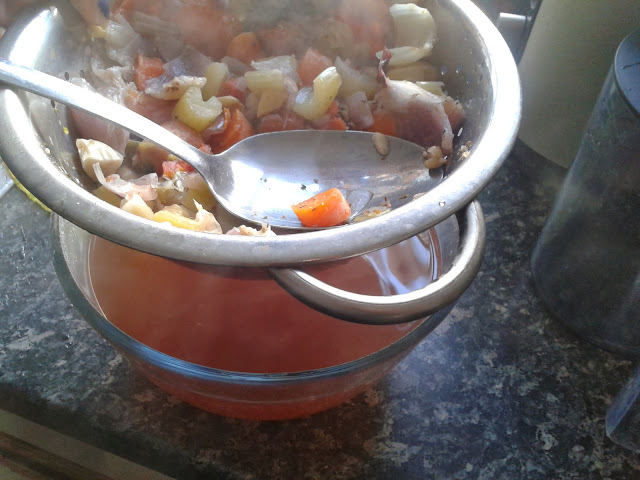 Strain the vegetables from the broth, using the back of a spoon to press out any excess liquid from the vegetables. If there are little bits floating in your vegetable stock, go ahead and strain it a couple more times. The leftover veg can be used later for a rice/spaghetti sauce, or puréed to make a soup. Keeps in the fridge for about a week. Or better yet, freeze in small containers and bring it out as you need it. Great! Thanks for sharing the recipe. I didn't know partminger was related to basil. Only 1/2 a teaspoon of salt? You can imagine the sodium content of the store bought ones. Thanks for the leftover veggie tips too. You're welcome! :) I know right?! I'm trying to cut down on using too much salt so I kept it at 1/2 a teaspoon. If you find that it's not enough, you can add a bit more though. Thank you a zillion times. Thought I was alone on this quest for a healthy eating. Am sure trying this out but with a little fluted pumpkin, I like that slightly bitter taste and color it adds. You're welcome! Fluted pumpkin should be a great addition.